It may be a Plymouth Citybus Volvo Double Decker but its not in Plymouth. 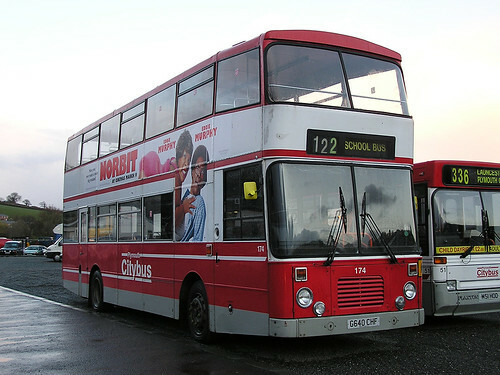 174 is based at Launcesten for school contracts and is seen here alongside Volvo B6 51 M51HOD. Thanks Simon for the photo.